Customers of mobile network Three can now access Facebook for free, thanks to a new deal with the social-networking site. Users can now access 0.facebook.com, which is a stripped down version of the website that features no graphics, only a list of status updates and the like. 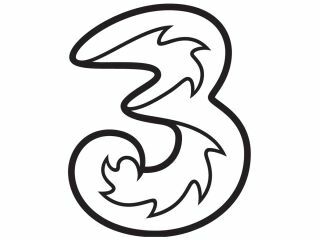 Three is the first network to offer the service in the UK, explaining in a press release: "At Three, we want to make the mobile internet easy and affordable for everyone. "We are delighted to work with Facebook to bring one of the most visited mobile websites to our customers for free. "We have the only 100% 3G network in the UK so that we can provide our customers with the very best experience of the mobile internet"
There have been a number of rumours that a Facebook phone is imminent from INQ, a manufacturer which already makes a Skype-branded phone (the Skypephone S2) and an unofficial Facebook handset (the INQ1), which featured layering dedicated to the social network. Three was the mobile operator for both these handsets, so it makes sense that it would be the first in the UK to effectively offer Facebook for free to its users. While this phone is yet to surface, the free Facebook deal by Three (try saying that 10 times fast) seems like a decent stop gap for those who want to browse the site, but don't want to pay for it. "We are always looking to work with innovative companies to provide simple and fast mobile access to Facebook across the world," said Henri Moissinac, head of mobile business, Facebook. "Thanks to our collaboration with Three, people will be able to stay connected to their friends on Facebook while they are on the go – all completely free."